Looking for a loan? We will be glad to help! Give us a call today at 303-997-7117. Ready to get started? Apply Now. Before lenders decide to lend you money, they need to know that you are willing and able to pay back that mortgage loan. To understand whether you can pay back the loan, they assess your income and debt ratio. To assess your willingness to repay, they use your credit score. 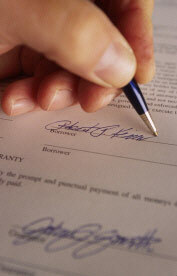 Credit scores only take into account the information in your credit reports. They do not consider income, savings, amount of down payment, or factors like gender, race, nationality or marital status. These scores were invented specifically for this reason. Credit scoring was developed to assess a borrower's willingness to pay while specifically excluding any other personal factors. Past delinquencies, derogatory payment behavior, debt level, length of credit history, types of credit and number of credit inquiries are all considered in credit scores. Your score comes from the good and the bad in your credit history. Late payments count against you, but a consistent record of paying on time will raise it. Your credit report should contain at least one account which has been open for six months or more, and at least one account that has been updated in the past six months for you to get a credit score. This history ensures that there is sufficient information in your credit to build a score. Some people don't have a long enough credit history to get a credit score. They may need to build up a credit history before they apply. At Cameron Financial Services, Inc, we answer questions about Credit reports every day. Call us at 303-997-7117.